Eli from Discovering loves Mosaic. Just imagine her reaction when she saw almost an entire building decorated with Mosaic pieces, plus a small village and a Shopping mall !! 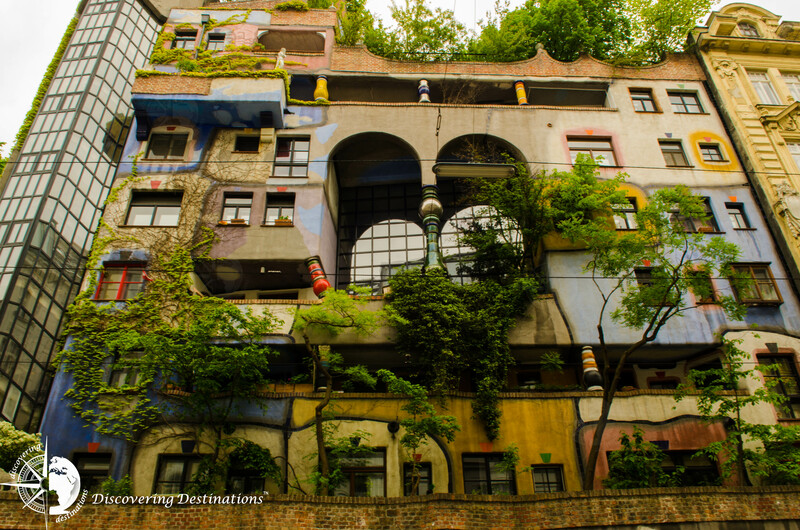 We heard about Hundertwasserhaus and instantaneously wanted to visit ! 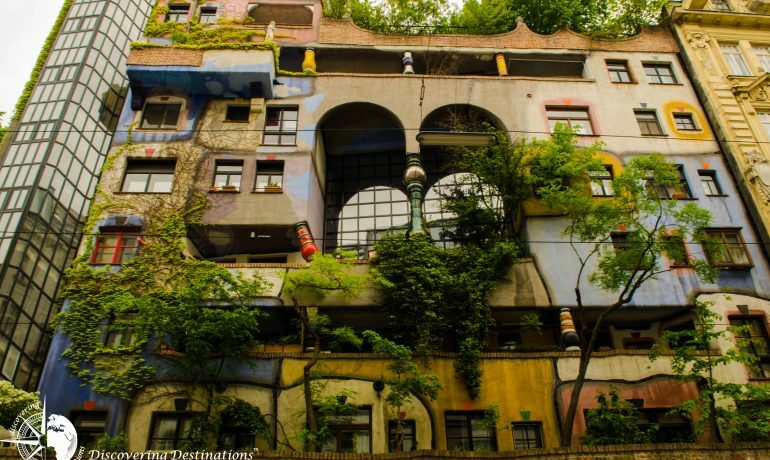 It's an apartment house that was built after the idea and concept of Austrian artist Friedensreich Hundertwasser. Joseph Krawina was the architect and co-author. 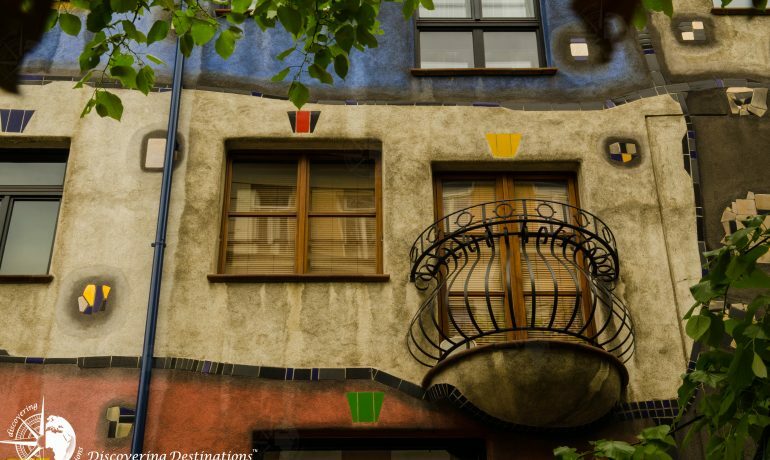 The artist focused on architecture, combined with a unique style mixing art with mosaic. The colors are fun, giving harmony with nature. 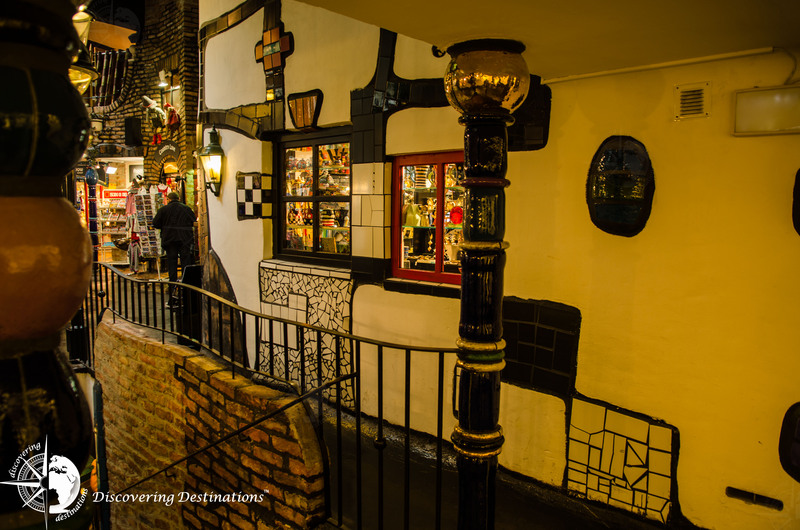 Next to the Hundertwasserhaus is a cool village, also decorated, where you'll find a small shopping mall. There are cafes, souvenir stores, a mosaic fountain. There is also a bathroom which is totally different and colourful, decorated with... you guess it, mosaic tiles! You can Google Map it and based on your location you'll see which public transportation method is the best. 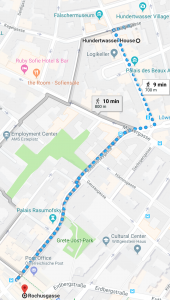 We felt it was a little far out walking distance and in order to save time, took the metro until Rochusgasse station. It's a nice area on it's own, once above ground you'll notice a kind of square with many shops and restaurants. We found a nice spot for lunch here actually. Do you have enough time ? 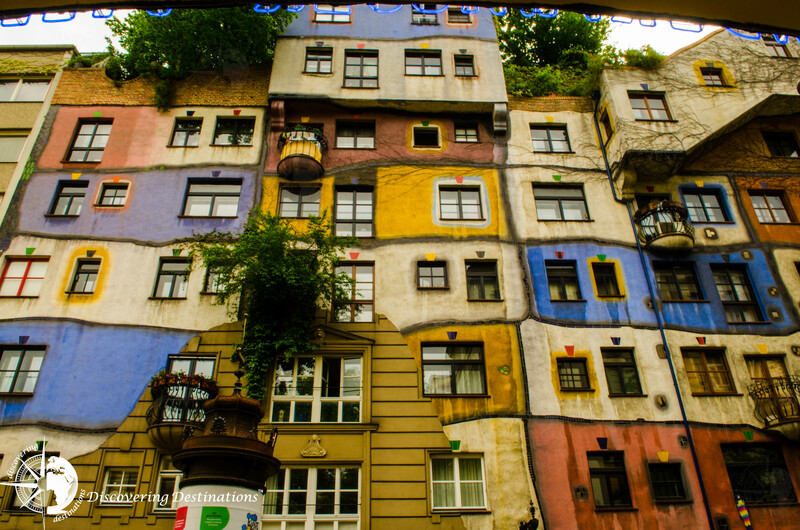 We recommend that you scope out places to visit in Vienna before. 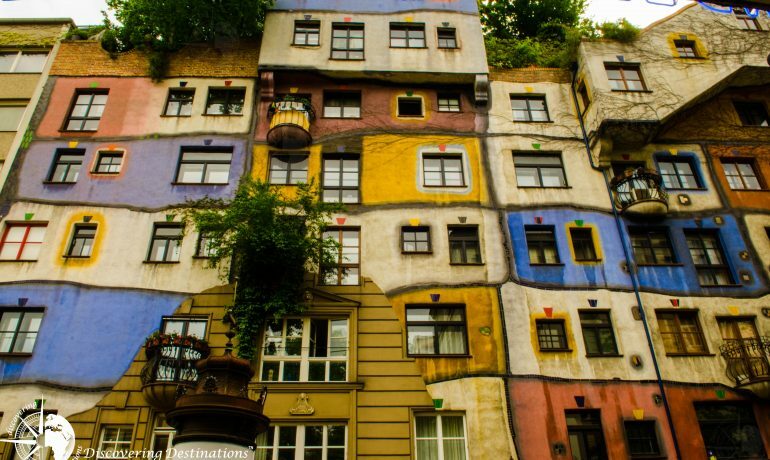 Depending on the amount of days you'll be spending in Vienna, try to make a list of places you would like to visit. 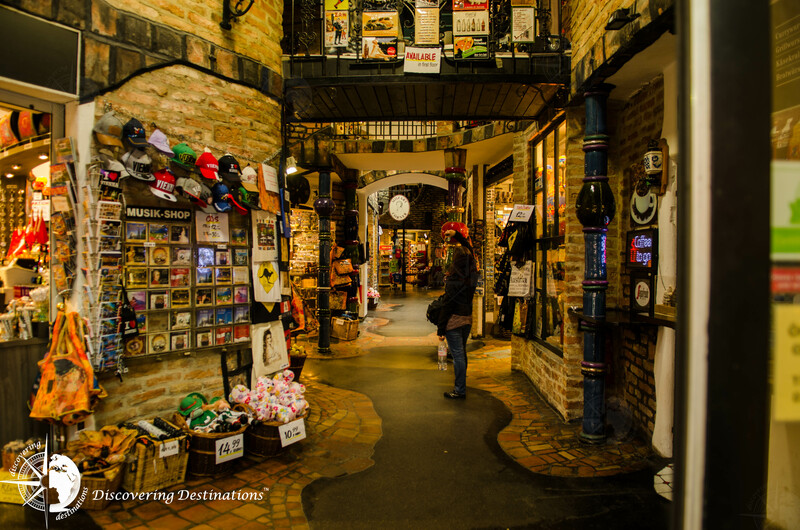 Once again, we use Google to save the attractions and later prioritize where we would like to visit. 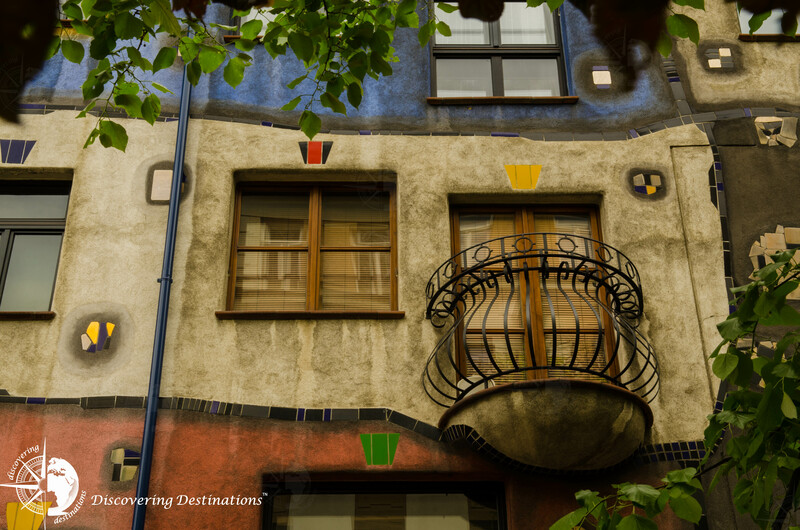 We had extra time in Vienna, enough to discover Hundertwasser. What's cool about this place is that it's in a different neighbourhood, away from the touristic and historic Old town. 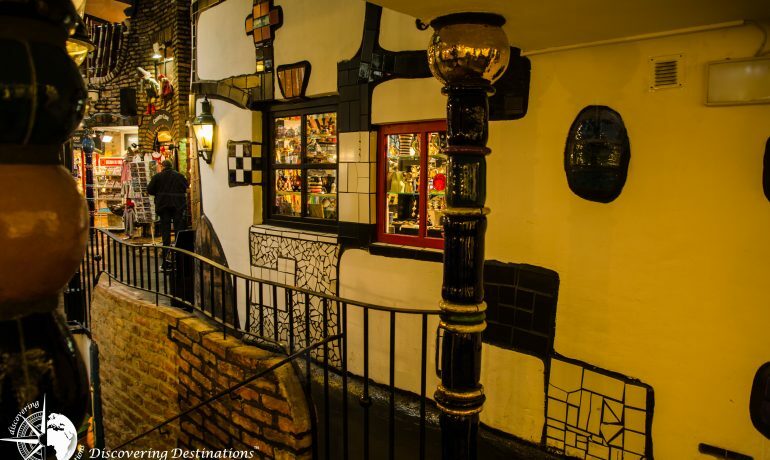 So if you're looking for a little escape from the city centre and appreciate Mosaic and art - then Hundertwasser could be a good fit ! Do we recommend ? Yes, if you have enough time in Vienna. 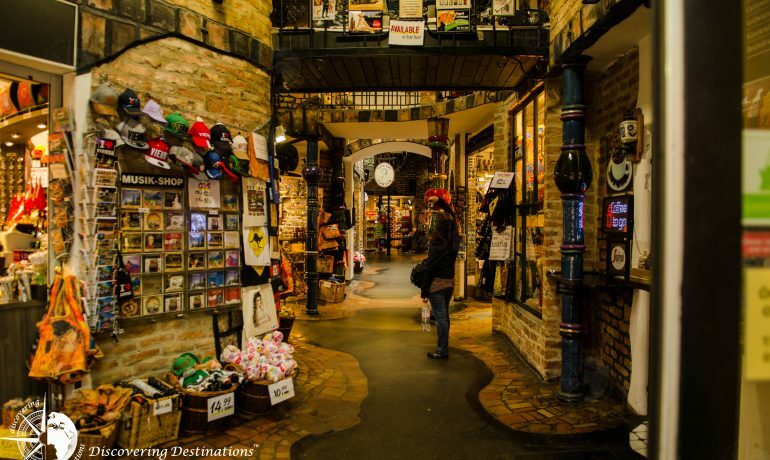 It's a great attraction, with a small village and a mall in a different area of Old town Vienna.